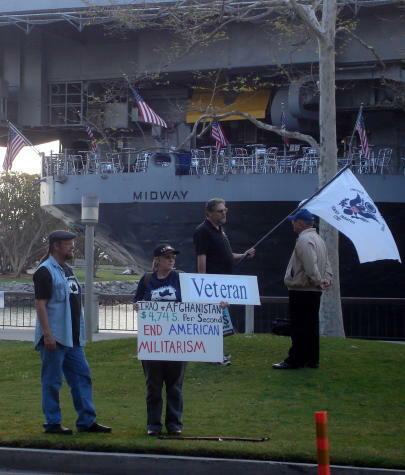 SAN DIEGO, CA – Veterans for Peace and other supporters gathered in front of the USS MIDWAY MUSEUM Friday evening to voice their opposition to the war in Iraq, in contrast to the Vets For Freedom, a veterans organization heavily funded by right wing groups, who are touring the country to boost the war effort in Iraq. Their nationwide tour began here in San Diego last night. 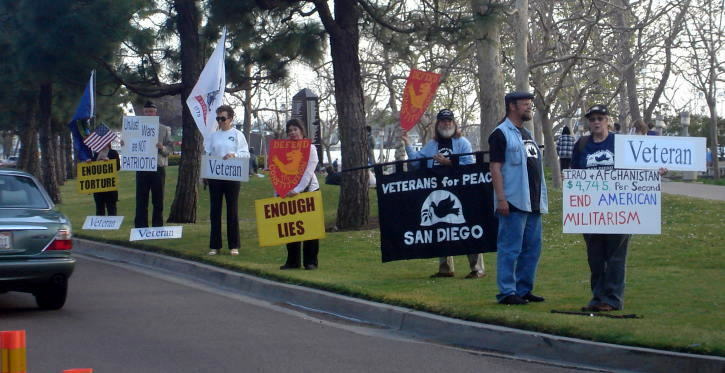 Veterans for Peace believe that the war is wrong and that using veterans as a prop for the war is wrong, and we agree. 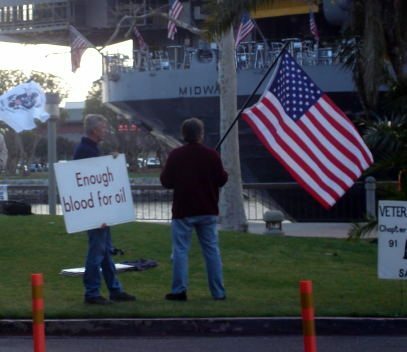 And judging from the positive response of most of the folks passing by, the public does too. See all of you in City Heights today to continue to march and rally for Peace!